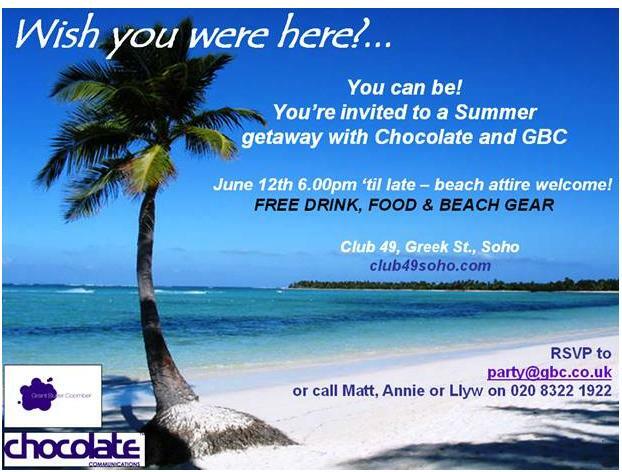 Just to remind you all that the GBC and Chocolate Communications annual media party is happening this Thursday, 12 June at Club 49, Soho. If you haven't already responded and would like to come along please find all the details of where to RSVP below. Free drinks, canapes, good people, good music and a guaranteed hangover!